Agedashi tofu and Asian salad. Author image. It didn't take long for me to fall in love with the food at Bird's Nest Restaurant. By the time I bit into the agedashi tofu, with its crisp, wafer-thin coating, served in a paddle-pool of tasty broth, I was a goner. So the accompanying salad, with delicate green leaves so fresh that they seemed to have been picked seconds earlier, simply sealed the deal. Down to the finest details. Author image. 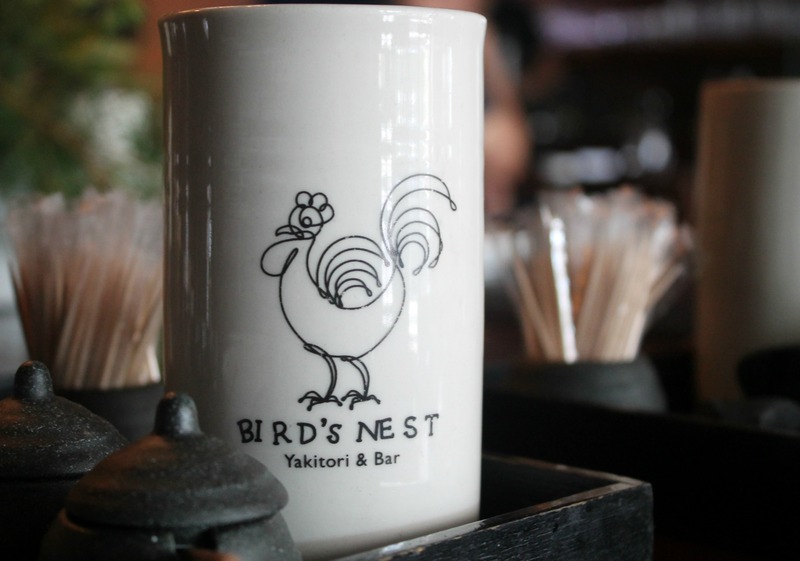 We'd ordered Bird's Nest set lunches, the centrepiece of which is a choice of chicken karaage, katsu curry, mixed vegetable or yakitori skewers, slow braised pork belly or Patagonian tooth fish. Miso soup and steamed rice served alongside sweet, earthy pickles (delightfully house-made) are also included. Kickin' it in the kitchen. Author image. My companion chose the fearsome-sounding fish, which was the colour of a sunset and equally sublime. Meanwhile, I opted for the house specialty, mixed yakitori skewers. There were four in total, showcasing different preparations of chicken, meatballs and cherry tomatoes wrapped in pork belly blankets. 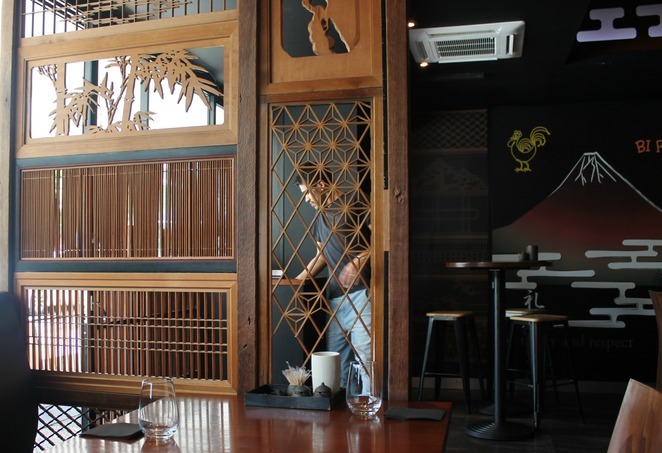 In Japanese, yakitori literally means 'grilled chicken'. More broadly, it represents a simple, traditional style of cooking which involves skewering meat and cooking it at high heat over binchoutan (white charcoal). This, say chefs, preserves the mouth-watering flavour of the produce. At Bird's Nest Restaurant, this process can be observed at the dramatic bar style seating surrounding the kitchen. A small selection of desserts is available. Hopelessly torn between the Hojicha (green tea) ice cream, yuzu sorbet and black sesame panna cotta, we finally just shrugged our shoulders and ordered all three. That was totally the right decision. While I loved the panna cotta and the ice cream, the yuzu sorbet was by far the favourite of the bunch, with its fruity, citrus zing providing a fitting end to this lovely, leisurely lunch. Bird's Nest offers a stylish interior. Author image.